Schedule Surgery in August and Save! 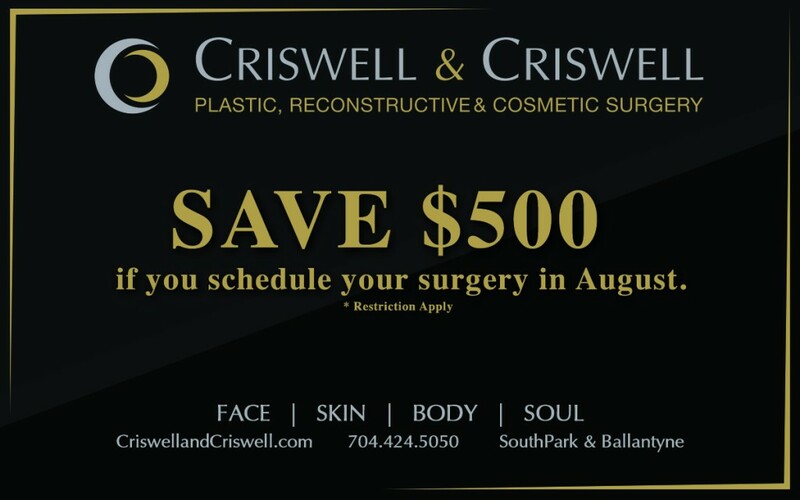 To celebrate the end of Summer and our weekly specials, Criswell and Criswell Plastic Surgery is offering a special for the remainder of August. If you schedule any surgery during the month of August it will save you $500! Restrictions apply so please call us at 704-424-5050 for more information. We look forward to seeing you! Visit either one of our offices at SouthPark our Ballantyne Village. For more information about Dr. Bryan Criswell and Dr. Kara Criswell, and Criswell and Criswell Plastic Surgery please visit: https://www.criswellandcriswell.com/blog/.